The Middle Keys beaches start at Long Key which is just south of Islamorada FL. 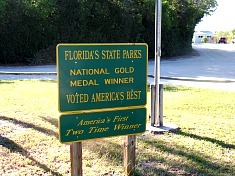 As you travel the length of the Marathon Florida area, you'll come to some amazing State Parks. 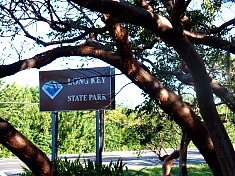 Both Long Key State Park and Curry Hammock State Park are here. You'll find that these Florida State Parks offer an incredible variety of water activities. Plus, there's fun on land activities you can enjoy that include hiking, biking, picnicking, and Florida camping. 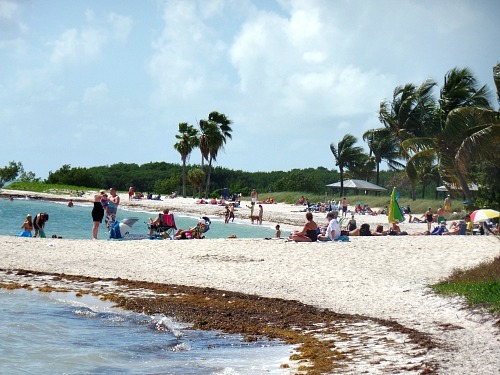 Plus you can spend endless time at Sombrero Beach which is considered to be one of the best Florida Keys beaches. At MM 67.5, Oceanside, south of Islamorada, this is just at the beginning of the Middle Keys. 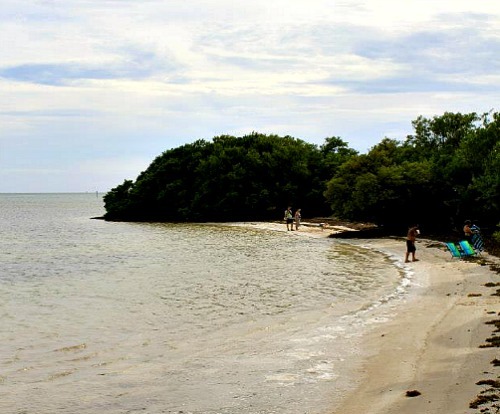 Originally called Rattlesnake Key by the Spanish for it's snake-like shape, the Long Key State Park has a nice Florida beach along with some of the best sport fishing for bonefish. 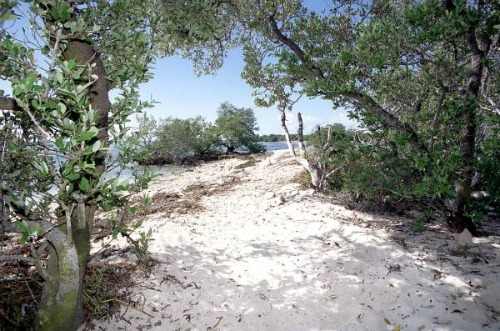 Long Key State Park is best known for it's Golden Orb Trail, along with it's other 2 popular nature trails. You can bike or hike the different Florida nature trails, go canoeing on the Long Key Lakes Canoe Trail, and the kids can play in the tidal lagoon on the Trail. 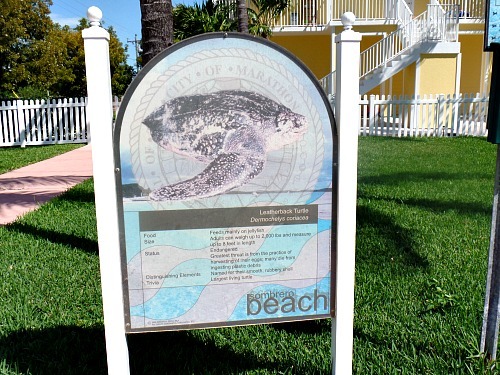 Along the beach, there are designated areas where you can go Florida Keys snorkeling or swimming. Afterward, you can spend some time sunbathing or going on another nature trail hike. If you're spending the day, picnic areas and restrooms are also available. 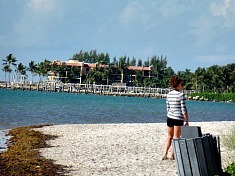 Hours of operation for Long Key State Park is 365 days a year from 8:00 a.m. until sundown. 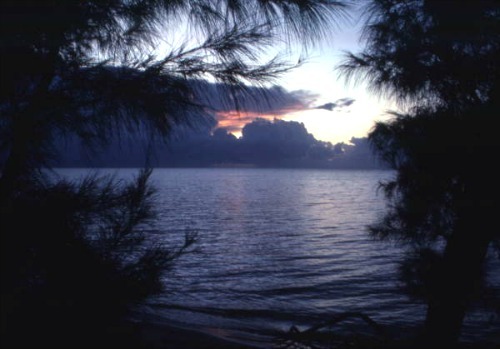 As a State Park there is a nominal fee to enter plus Long Key State Park camping is available. As far as Middle Keys beaches go, this is particularly unusual. Near Valhalla Point and Grassy Key, it's not a beach so much as it's a popular sandbar sitting further out in the water. A favorite spot for locals, and tourists, it's accessible only by boat, canoe or kayak. This Florida 'beach' consists of an extensive sand bar and when the tide is out, the sandbar's beautiful white sand is exposed. This is the perfect place to spend a leisurely few hours lounging around in your bathing suit. You can hang out on the sandbar 'beach' with your chairs, have a cocktail, let the kids go Florida Keys snorkeling, then head back in the boat when the tide starts to come in. There is no admittance fee or restricted hours of operation for this sandbar 'beach'. The better Middle Keys beaches are usually found in State Parks, and this is no exception. 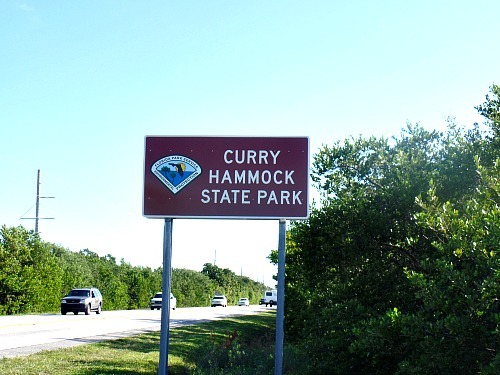 In fact, Curry Hammock was awarded third place in the 2012 content for America's Favorite Park. 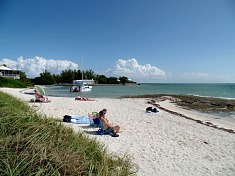 The Park itself is made up of a group of small Middle Keys islands with the entrance located at Little Crawl Key off US Highway 1. In typical Florida Keys fashion, the beaches are narrow, and the water is shallow. This makes it a great destination beach, especially if you go with the children. The water is always warm and clear, so with it's 1200 feet of white sandy beaches, Curry Hammock State Park is a great place to spend the day or night. Curry Hammock State Park is a true nature lovers paradise. This is a popular Florida Keys hiking or biking destination, and you'll have a chance to see a large assortment of native and tropical wildlife. The hardwood hammocks and the dense vegetation of seagrass and mangrove swamps make this the perfect habitat for viewing nature. Just make sure you're properly prepared for hitting the trails. It's very easy to become dehydrated in hot, humid weather. It's also important to carry hiking gear with you, as well as first aid equipment. You never know what can happen on a trail, whether you twist an ankle, have a run in with a venomous snake, or develop heat stroke. The key to any good adventure is preparation and safety, and though you're on vacation, accidents can and still do happen, so be prepared. 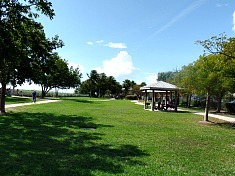 Curry Hammock also has beach side RV and tent camping, along with a playground, picnic tables, grills and showers. You can bike, hike, fish, picnic, snorkel and swim the whole day away. Curry Hammock State Park hours of operation are 365 days a year from dawn to sunset and there's a nominal entrance fee. 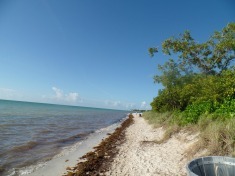 A few miles north of Sombrero Beach is a terrific Marathon beach. This is typical of Middle Keys beaches as it's smaller, and natural. This beach is also dog friendly, and they provide clean-up bags for Fidos' convenience. If you're traveling with your pet and are planning on spending time with Fido on the beach, make sure you bring along appropriate toys so your best friend can enjoy his time playing in the water too. Like Sombrero Beach, Coco Plum is a Florida sea turtle nesting area so you'll want to make sure that no nests are disturbed during the April - October nesting season. 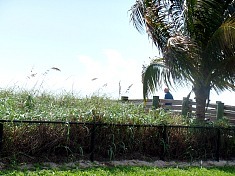 This Florida beach also has restroom facilities, with a covered pavilion for picnics. 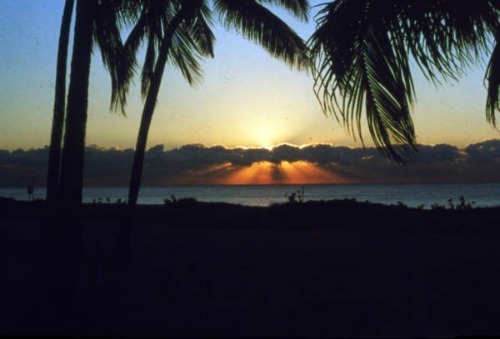 The hours of operation for Coco Plum Beach are from 7:00 a.m. until dusk and there is no admission fee. Sombrero Beach is considered to be the best of the Middle Keys Beaches, as well as one of the best beaches in the Florida Keys. Not only is the sand thicker and richer, the water is deeper too. Here you can swim in the warm, clear water as opposed to just wading offshore. 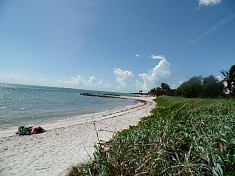 The sand at Sombrero Beach and at Coco Plum is also unique to the Marathon Key area. The algae that live offshore add an unusual pattern and texture to the sand that lines the ocean floor and covers the white beaches. Sombrero Beach is also a nesting area for sea turtles, most often Loggerheads. Nesting occurs between April and October with the turtles coming out of the sea at night to make their nest and lay their eggs. If you're out for a morning stroll on Sombrero beach, it's fun to look for the new nests, just be careful not to disturb any. During these months, Monroe County is careful not to disturb the nests so you won't find any benches or tables on the beach until nesting season is over. Sombrero Beach is also quieter then some of the other beaches as it's set further back off US Highway 1. The facilities have also been completely renovated so it's now fully accessible for handicapped individuals. There are restrooms, showers, a playground, volleyball, and limited picnic facilities. Dogs are also allowed at the beach as long as they stay on leash. The hours of operation for Sombrero beach is daily from 7 a.m. until dusk, and there is no admission fee. The Middle Keys beaches are perfectly centered for trips to other favorite Upper Keys beaches, beaches in the Lower Keys, and Key West beaches. 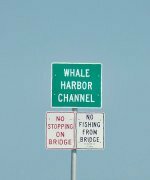 Plus if you're planning a Florida Keys camping vacation, the Long Key or Curry Hammock campgrounds means you'll have the convenience of terrific Florida Keys beaches almost at your doorstep. There's one thing you'll find on your Florida Keys vacation - there's never quite enough time to see and explore each and every one of these great Florida beaches. However, it's certainly fun trying!